2016 was a year of change when it came to the customer experience. With the shifting landscape, marketing is taking on a larger role in the sales process. Marketers need to stay in tune with the most effective avenues, desirable forms of content and relevant material to provide to their audience. Steadily, mobile browsing has increased over the years, surpassing desktop browsing some time ago. 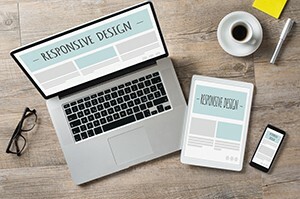 As a result of this, marketers have recognized the need for responsive websites and targeted mobile ads. While ad blockers may become an issue for many browsers, the current mobile environment enables marketing teams to target consumers browsing relevant sites and searching related content. By doing this, not only are they reaching their target market, but they're doing it via a device that people constantly engage with throughout their day. Many companies are also investing in custom app development. This ensures that their content is being viewed, uninterrupted by the targeted ads previously mentioned. These apps range from e-commerce sites, to social sharing, to product manuals and support portals. How often do you search for a how-to guide and select a video over an article? Exactly! People want to watch their content, not read it! The average amount of time you have to capture a viewer's attention is gradually becoming shorter. The amount of content you can fit in to 30 seconds of video is exponentially more than you can include in a 250 word post. You also get the added benefit of providing visually stimulating content that evokes and emotional response - which is after all what our job as marketers is, right? If you're not integrating videos in to your content strategy, you're missing out on a chance to truly capture your audience. Social media can no longer be written off as a "personal" outlet. 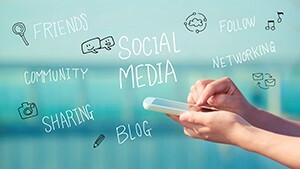 Whether for e-commerce promotions, providing relevant content, or sharing your company culture – social media IS and should be a marketing tool. Many companies have created divisions within their marketing organizations dedicated solely to social media. Outlets like Twitter, LinkedIn, Instagram, Facebook, Pinterest and Google+ provide insights on what people are saying about your company and products. Social media provides an opportunity to engage with and personalize the relationship your customers create with your company. It also provides an effective way for tracking relevant content, spokespersons and trends in your industry. So if you haven't already, Q2 is the time to start with social! Tracking ROI is no new thing, but data is more important than ever! Marketing automation tools now have built-in ROI tracking capabilities. A/B testing is no longer a "can" but a "must" when it comes to creating campaigns. We need to know what headlines create the highest open rate. What types of content lead to the most click-throughs. What offerings convert to the most sales. First we must create marketing qualified leads, but then those must become sales qualified leads, and there's a marketing role in both conversions. Measuring the effectiveness of every activity in marketing is key to developing an efficient strategy for success. So, what are the takeaways? Engage with your audience. Utilize a multitude of outlets. And measure your success!